On “Flip or Flop,” Tarek and Christina El Moussa prove that flipping homes is always full of surprises. However, in the latest episode, they find something truly cool beneath the floorboards. 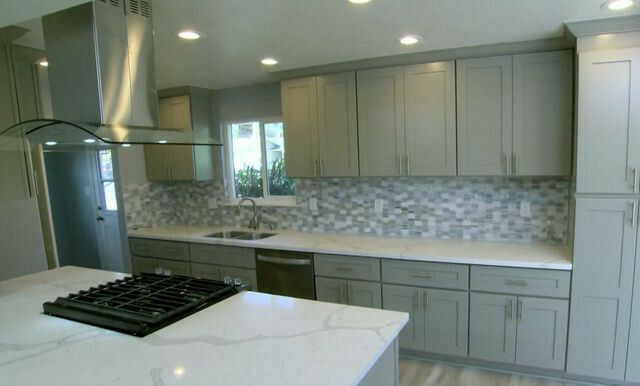 In the episode titled “What’s Old Is New Again,” they come across what’s listed as a three-bedroom, two-bath home in Hacienda Heights, CA. The home also happens to be in a trust, meaning that the previous owners have passed away and bequeathed the house to their heirs. What’s more, the house hadn’t been altered since it was built in the ’60s, which is both good and bad. Yes, there are cool retro features, but others that are dilapidated and outdated. Christina suggests using the old design features, like the wallpaper, for inspiration, and Tarek readily agrees. Christina and Tarek El Moussa are back on the same page. She finds some modern wallpaper that reminiscent of the old design, uses it on the same wall, and it ends up being one of the most popular features in the entire home. “This might be my favorite design ever,” she gushes. All told, this house flip delivers some fabulous tips that could come in handy in any home or real estate deal. Here’s what we learned. Before they make an offer, Christina and Tarek inspect the home and find that the master bath has no tub or shower—so technically, while this home is billed as having two bathrooms, one and a half is more accurate. It will cost them to add a shower, so they use this as a bargaining chip. Tarek sees the trust status of this home as a plus: Because you’re working with either a bank or a consortium of heirs, all involved are often eager to wrap things up—and you don’t need to worry about offending the owners with a lowball offer. This house is asking for $410,000, and Tarek acknowledges it’s in good but dated shape, so he offers $385,000. The trust comes back at $390,000, and Christina and Tarek snap it up. It’s quite the deal for this area. When Christina and Tarek are pulling up the (ugly) shag carpet, they find a floor safe in one room. It’s open, and inside they find a pleasant surprise: a box full of old jewelry. “This is just like my grandma used to have!” exclaims Christina. It doesn’t look valuable, but it most assuredly will have sentimental value for the heirs of the previous homeowners. “What do we do? Do we return it to the owners or run to Mexico?” Tarek jokes. You can guess which option they pick, and it’s a sweet gesture. Christina and Tarek find a floor safe full of jewelry. Most people are dying for a kitchen island, but the peninsula has its virtues, as contractor Jeff Lawrence points out. He’s been instructed to remove the wall between the kitchen and the family room, and there are plenty of sockets and electrical wiring in that particular wall. If they build a peninsula that’s a little like a pony wall, he can simply move down the wiring and the sockets. This is much easier and less expensive than rewiring for an island, and it actually looks great! The kitchen looks fine with a peninsula, rather than an island. One bathroom has a wall full of lantern-shaped blue tile, and it’s in such great condition that Tarek and Christina are tempted to keep it. But it wouldn’t really fit with the rest of the house, so Christina finds new, more neutral tile in the same shape, reveling in the fact that what’s old is new again. The foliage around the house is a bit overgrown, but Christina notices a few flowering plumeria and hibiscus trees that are far enough away that they don’t overwhelm the house. She also realizes that the pink, yellow, and red flowers will add cheery pops of color to the pale exterior hues she has planned. So rather than rip everything out and replace it with all new plants and shrubs, she instructs the landscapers to trim and sculpt the trees, while leaving them in place. The prospective buyers appreciate this. Whether it’s in the front or the back of a home, an old chain-link fence looks ugly and unwelcoming. They remove it from the front and the vines that have grown over it. Suddenly, the house looks larger and in much better condition. 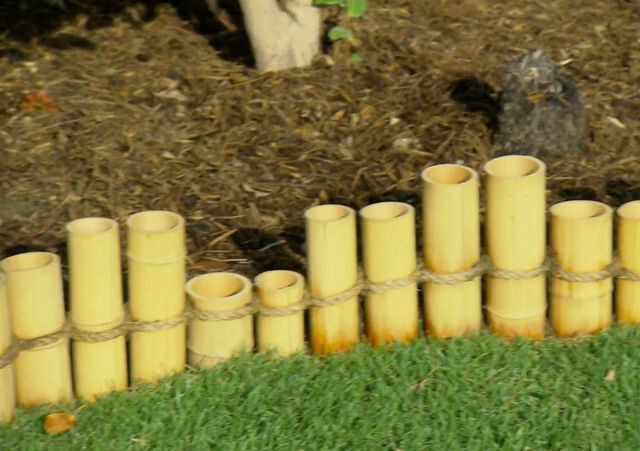 Christina revives the Tiki trend of the swanky ’60s by devising a backyard garden border of bamboo poles of varying sizes—from 8 inches to a foot long—standing up in a row. It looks fabulous, is cost-effective, and is even sustainable! A bamboo border works well. Is this a flip or flop? The fate of this project is never really in question. Christina and Tarek are in sync every step of the way, and their passion for it pays off. After all is said and done, they’ll need to get at least $490,000 to break even. Even though the comps in the area are only in the high $400,000s, they list it at $569,000. After only a few days on the market, the home gets an offer for $560,000, which would amount to a $70,000 profit. 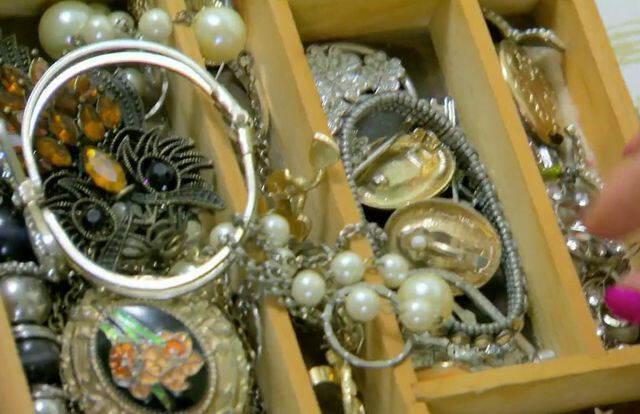 That beats a hidden trove of old jewelry any day!